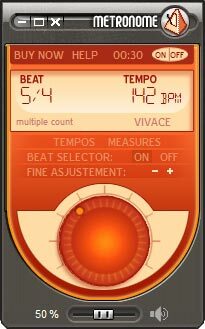 Free E-Metronome - This is a simple metronome for PC users. This is a simple metronome for PC users. Free version: plays tempos from 45 to 170 bpm.